What constitutes the American? 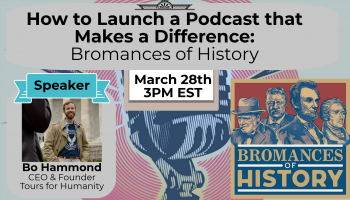 What threads have been woven together to create the fabric of our country today? Perhaps now more than ever, the debate around Immigration has come to the forefront of our attention. 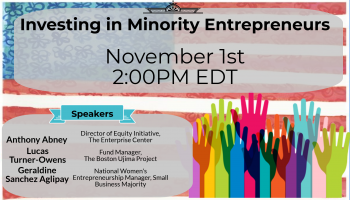 This webinar panel discussion brings together experts from across the country to discuss what unique immigration issues our country faces, what innovations have been made to try and solve them, and what lies ahead in the immigration debate. 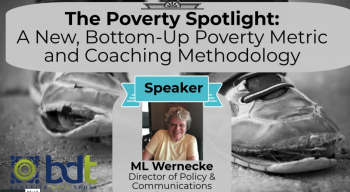 Attendees can expect to get an insider look into the cutting edge solutions to solving the problems we face, as well as a better understanding of how this issue is playing out at the local and state level. According to the National Center for Charitable Statistics, more than 1.5 million nonprofit organizations are registered in the U.S. 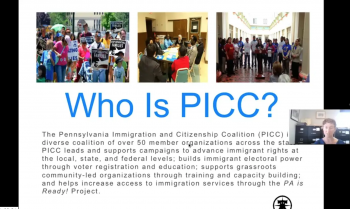 This number includes public charities, private foundations, and other types of nonprofit organizations, including chambers of commerce, fraternal organizations and civic leagues. Each of these entities is working diligently for a mission, driven by the promise of a better tomorrow. These missions are easier said than done. Learn from experts across the country about the best practices for achieving your organization's mission, what new tools are available for support, and what lies on the horizon. Disrupting Traditional Philanthropy: A different and more accountable approach to investing philanthropic dollars. More than 1.5 million non-profit organizations exist across the United States. The vast majority of these organizations do not succeed, but many more still play an enormous in role in helping to combat the many issues facing communities across the country. Finding the right non-profit and ensuring philanthropic dollars achieve the impact they are intended for, is an increasingly difficult task. 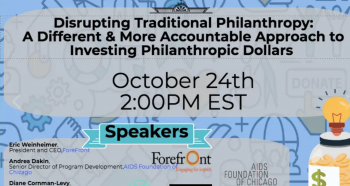 This webinar brings together experts from across the country to discuss how the philanthropy community is evolving. Attendees interested in supporting non-profits can expect a better understanding of best practices for ensuring your money reaches its mission. 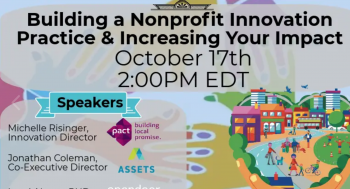 Attendees coming from the non-profit world can expect an inside look into what innovative practices investors are using to assess and invest non-profit. 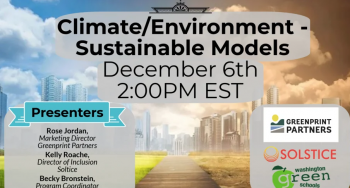 The philanthropic world is evolving quickly, this webinar seeks to give the most updated perspective on what to expect, and what to do to ensure sustainable funding and impact in the future. Civic engagement and its ability to prevent risky behavior in youth has been explored for decades. One study of over 1,000 teenage youths revealed a direct inverse relationship between civic engagement and risky behavior. Engaged youth maximize their sense of community by transforming victims of social problems into social change agents in their communities. More than the qualitative, its impact is seen in numbers, they are 11% more likely to have a grade point average above B+, 24% more likely to vote, and 200% more likely to be civically engaged in adulthood. This is, however, far easier said than done. This webinar brings together experts from around the world to explore how communities are and can continue to leverage their infrastructure to ensure a healthy culture of civic engagement. Attendees can expect to receive an inside look into how civic engagement programs are crafted, implemented and reviewed to ensure they’re meeting their goals. Attendees will also takeaway specific lessons and best practices for implementing new programs in communities across the country. Copyright © 2016. All Rights Reserved. Teline V - Designed by Phil Conway Bootstrap is a front-end framework of Twitter, Inc. Code licensed under Apache License v2.0. Font Awesome font licensed under SIL OFL 1.1.